When I published my first blog post, there were no visitors to read. I struggled a lot to bring the audience to read it. Without traffic, the blog is worthless and the blogging process is not fulfilled. And most importantly without traffic, it won’t generate you the income. Some peoples build a website as a hobby, but my intention was to make money on it. So, when I found, I can’t able to find the visitors for my blog, it really hurt. I was fed up. After writing the first post, most of the new bloggers struck and they don’t know to bring traffic to their post. So, every new blogger should know the strategy to bring traffic to his new website. Traffic generation is a skill, its one of the process in blogging, just like writing an article. If you follow certain procedures and activities, traffic will start to flow in and increases gradually in the future. There is no quick fix to bring traffic immediately unless you spend money on ads. But you know what, free traffic is gold. Everybody knew that “Content is King”. If you provide great and valuable information in your article, there is no doubt it attracts more readers. Better content is one of the main factors to generate traffic. Valuable posts generate good traffic for your website. The visitor arrived in your blog expect values and solution for his query. If the content solves its purpose, he gets the answer, then your website value increases. 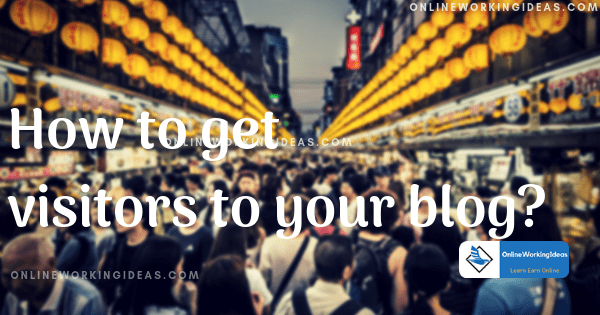 If those visitors like your content they may arrive again to your blog, thus you gain a customer. Utilize social media to improve the traffic to your post. Social media marketing is one of the ideas to bring traffic to your site. Analyze your social media presence, find your target audience, form groups and be engaged with your audience. Facebook is one of the huge networks to utilize for traffic generation. But, nowadays facebook has become more strict about promoting certain types of articles. Create your brand Facebook business page and start to publish your blog posts. Share the facebook page with the groups and build the relationship. Like other Facebook pages and join groups belong to your niche. Participate in group activities to increase your brand value. Provide values to the customers in groups to earn likes. Always be present in the network to gain reputation and grow with your engagement. Tip: Facebook marketing is very effective, but you should know how to promote an article without getting an account locked. Youtube is used for video marketing. Next, to google search, people depend on youtube to find the answer for their quires. You can start a new channel on a specific niche, Publish your videos and gain traffic to your blog. You can also embed the youtube videos into your blog to gain additional new visitors. Also, you should know, Youtube video SEO to make your videos rank high on youtube search. Tip: Unless you know video SEO, you won’t rank your video. It’s difficult to rank a single video, but if you are consistent with publishing videos with catchy titles, soon your videos will rank. Instagram community is to share pictures. People prefer images, if you are from an image oriented niche, then Instagram is for you. You can share pictures and images of your products, and make people follow. You can use influencers to promote your product to reach more audience. By utilizing the story, you can make engagement with your customers. Tip: You need to be consistent with publishing images and stories. Pinterest is to share your posts and generate traffic to your blog. Here you can create a number of boards and pins to gain visitors. If you are a blogger, you can work on Pinterest to gain traffic to your posts. 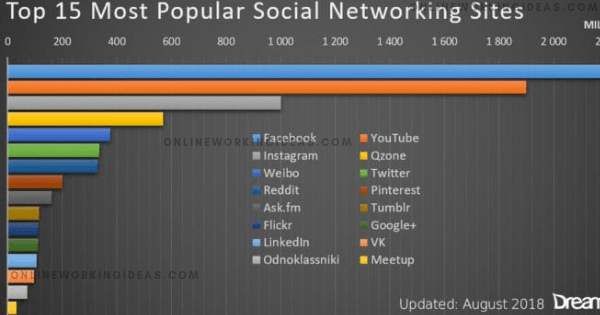 Nowadays, Pinterest is growing much faster than other social sites. You can use tools like tailwind to auto-schedule your pins to increase the traffic. Tip: Auto schedule tools, Pinning at right time, uploading new pins and group boards helps to generate traffic fast. The post written for other websites is known as guest posts. In the guest post, you create content in another blog. The content contains an anchor text link, which points to your blog. One is your guest post creates a backlink to your website and the second, you gain visitors from that blog. Those website owners, ask for guest posts on specific topics to the bloggers. This method is more useful to both the blogger and owner since it generates traffic to both of them. To write a guest post, type “write for us” in the google search, you will find the blogs which accept guest post. You need to contact them via mail, submit the article as they asked. If the web owner likes your content he will publish your article in his blog. 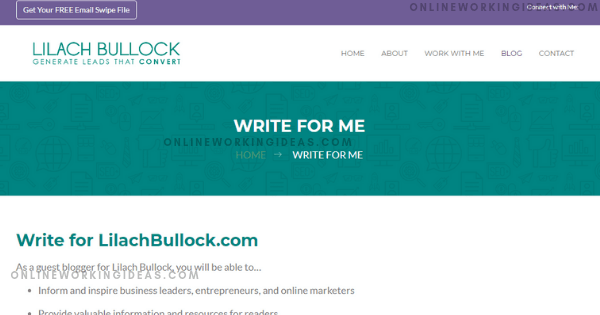 And you can also invite other bloggers to write for your website. Email marketing is sending emails to the current customer or potential customer. The purpose of the email is to make them visit your blog for impressions, clicks, or for sale. (of course, solve the purpose of your readers). You need to make visitors subscribe to your list. After gaining subscribers, you can use automated mail services to send emails and autoresponders to reply back. Assume, if you have the subscribers list of 1.0lakh members, easily you can generate traffic to your blog. That is the power of email marketing. To gain subscribers, you can provide freebies in exchange of their email address. Search Engine Optimization is the process of increasing the chance of your site’s visibility in the Google search engine. If the website and the post are SEO optimized, the site search ranking of your website will grow. Free and paid tools, services available in the market for SEO optimization. After completion of a post, you can optimize your post to rank better in search results. You can utilize the Yoast SEO WordPress plugin to optimize your written post. Check my other article to learn and implement SEO for your first post. Write posts in your niche regularly. If they found no new information available and your blog is dead, it is difficult to make him come again. Repeated visitors are one of the strategies for building the direct traffic to your site. Updating the older posts is also important in generating the traffic. So, update your old posts with new images and some piece of information to generate traffic. For new images, you can visit pixel.com, pixabay, or freeimages and download. These are some of the main sources to get visitors to your blog. So, by implementing the above techniques, after you have written your blog post, you can make people visit your blog and increase your traffic. All these topics are broad, I will write separate posts for each one. I believe, provided information, solve your query. Previous Post What is SEO, Search Engine Optimization? A Basic Guide Next Post How to monetize your blog and make money in 2019?